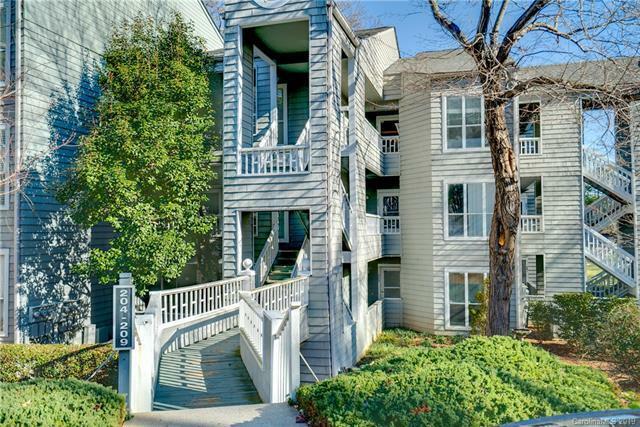 WELCOME HOME to this bright, waterfront 2nd floor condo located in the very popular Davidson Landing Complex. Unit features amazing views of Lake Norman, The North Harbor Club Restaurant, Cottage Wine Bar and pool. The kitchen is updated with new cabinets, appliances and granite counters. The bathroom is also updated with new tile, vanity and granite counter. The living room has a wood burning fireplace, new sliders and new crown moldings. Popcorn ceilings have been removed. Large waterfront porch with covered ceiling. Davidson Landing amenities include tennis courts, volleyball, basketball, walking/fitness trails and more. Enjoy the lake by taking advantage of New Paddle Board retail/rental shop in marina or Acquire a Boat slips available to lease through The Lake Norman Company - (704)892-4619. This 2nd floor unit but only 1/2 flights of stairs up from walkway to parking lot. Conveniently located near Historic Downtown Davidson, Davidson College, I-77, schools and shopping.